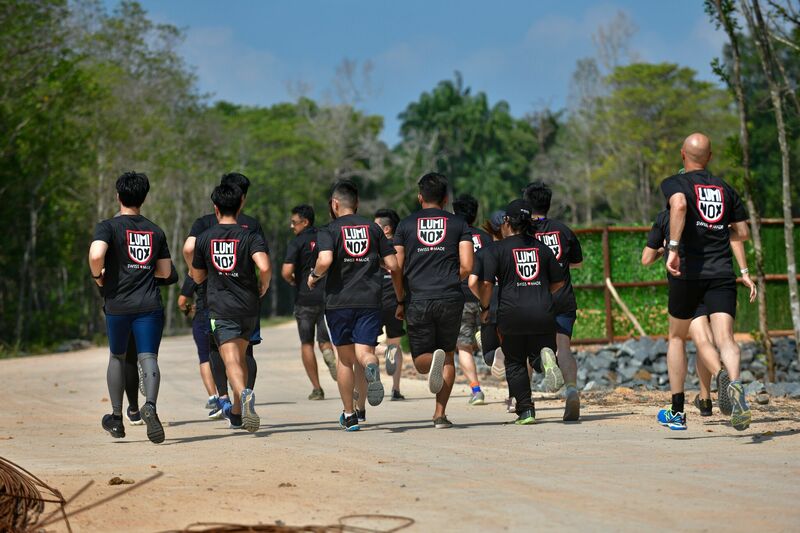 The Luminox Jungle Survival Course is a programme that helps participants to overcome physical constraints and mental pressure. 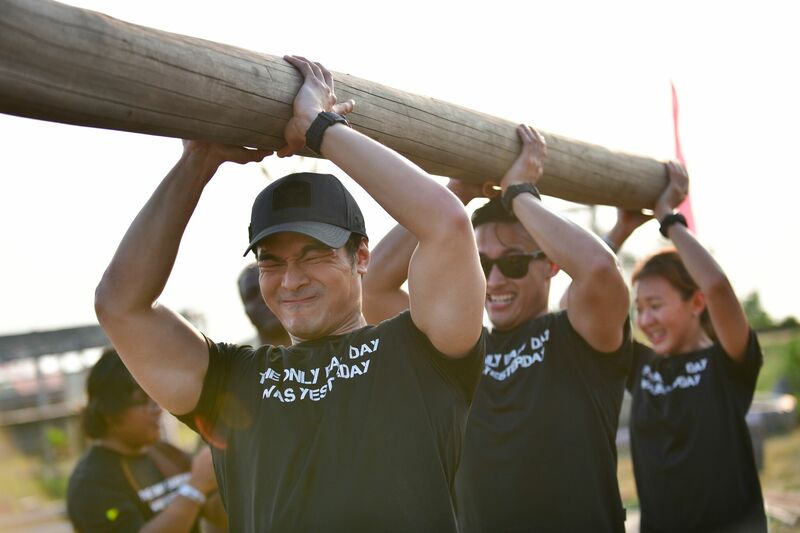 It is aimed to impart the Navy SEAL mantra of ‘The Only Easy Day Was Yesterday’ to participants and help them understand how each day’s challenges can make one stronger. 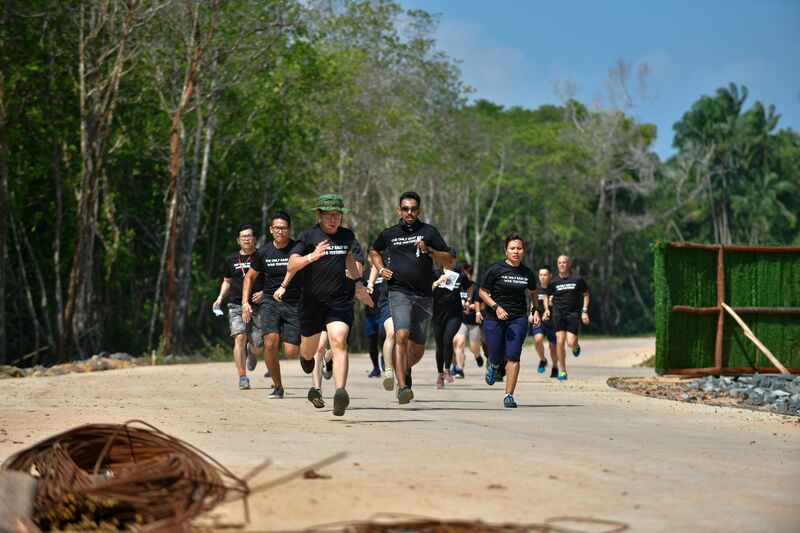 Held at The Canopi, Bintan Indonesia, it was a gathering of 26 participants from Brunei, Malaysia and Singapore. Members of the team together with Rob Roy (far right). On Wednesday, August 15, participants were given a top secret message that revealed their mission. 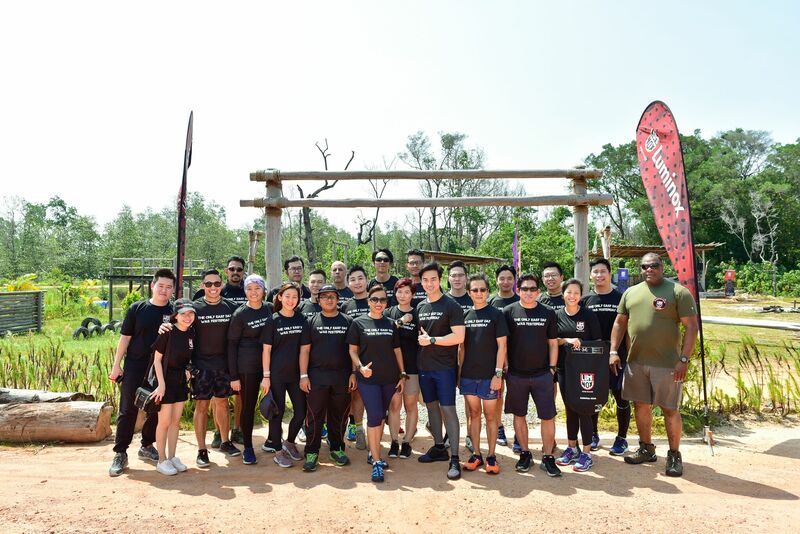 Each participant was spilt into 5 different groups, namely SEAL Team 6, ICE-SAR, Sea Wolves, Undersea Voyager Project and Spartan, with each team consisting of 4 members. The names were selected based on the various spokespersons, organizations or obstacle races that were associated with Luminox. Synchronising watches to the second. Commanding officer of Luminox Jungle Survival Course and retired Navy SEAL, Rob Roy, subsequently enforced the importance of team work, trust and leadership in each team by asking questions about each team mate, reinforcing an unspoken rule that in a Navy SEAL team, your team is your family and you have to trust your lives with each other. 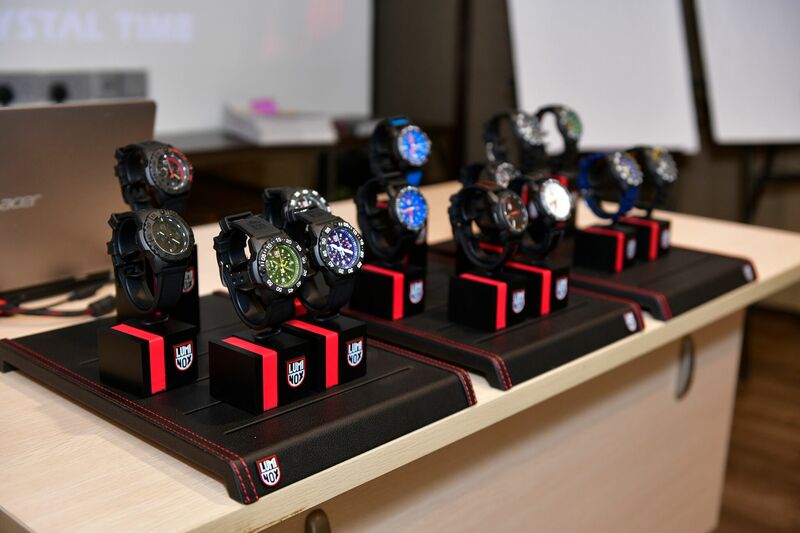 Every participant was also passed a Luminox watch to experience the toughness of the timepiece. They learnt how to time hack or to synchronize their time down to the seconds and used the rotating bezel of their Luminox watches for count down purposes. The time-mission kicks off with the teams advancing to the next objective point. At each stage of the mission, a fixed time duration was given to complete the task, simulating an environment of a military mission where time is of the essence. Participants were also given physical activities such as push ups and sprints to push their physical limits. Elements of basic navigation were called upon, as teams figure out their next objective points. Navy SEALs not only need to be physically strong but they also need to use their intelligence on missions. 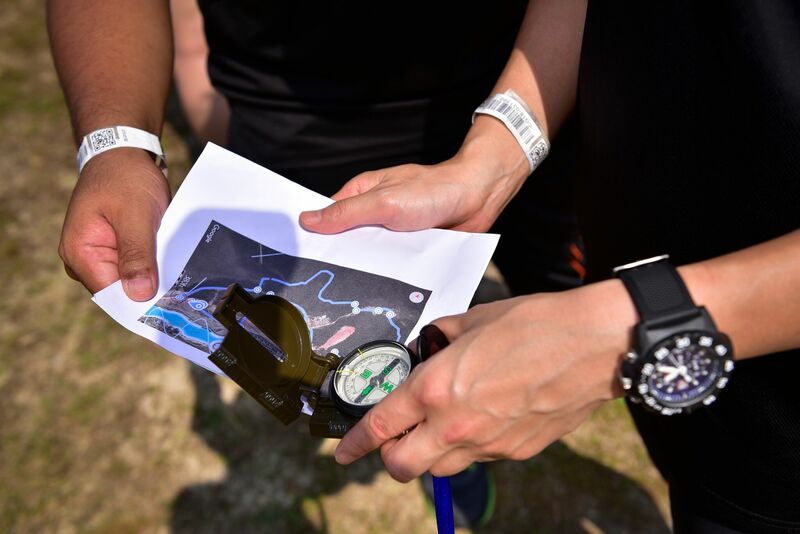 The Luminox Jungle Survival Course incorporated this aspect by providing participants with a blind map and compass that would help them navigate through the jungle and mangrove swamp. 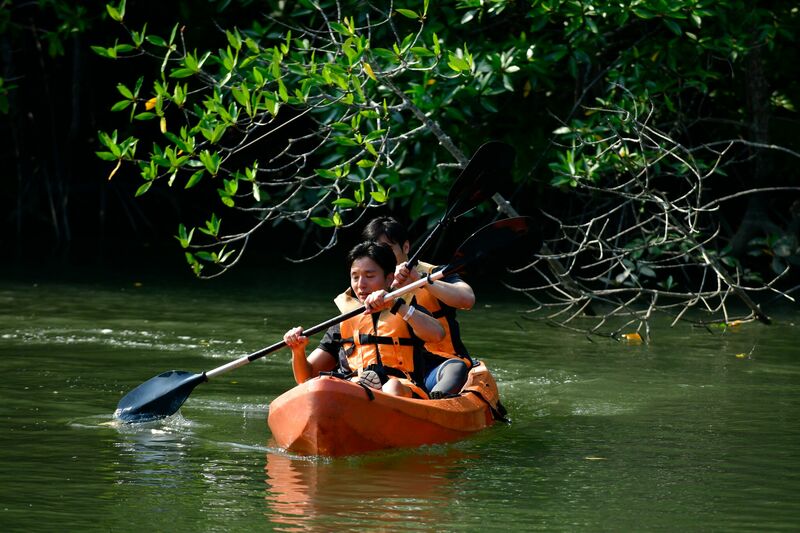 They were also given a puzzle to solve before they began on their mission to kayak through the mangrove swamp. At the river checkpoint, the participants had to kayak along the river to reach the next destination. 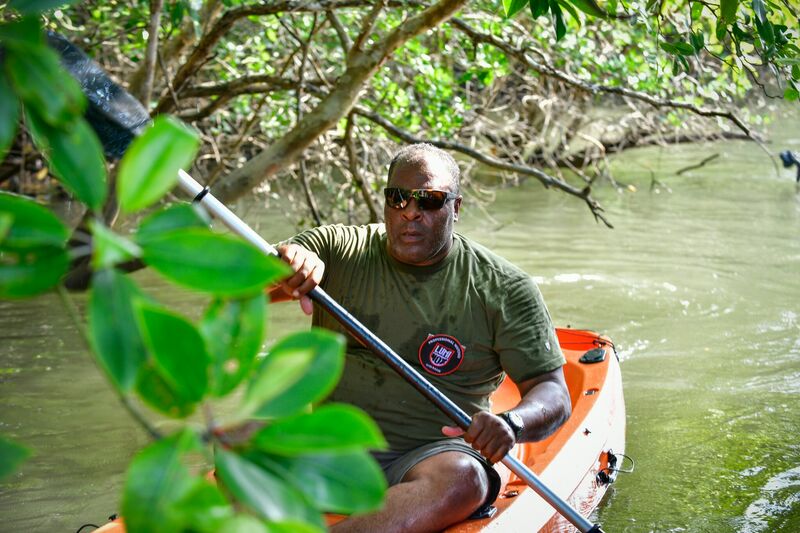 The kayaking experience and river crossing mission alludes to the Navy Seals’ adaptability in all elements of Land, Air and Sea. 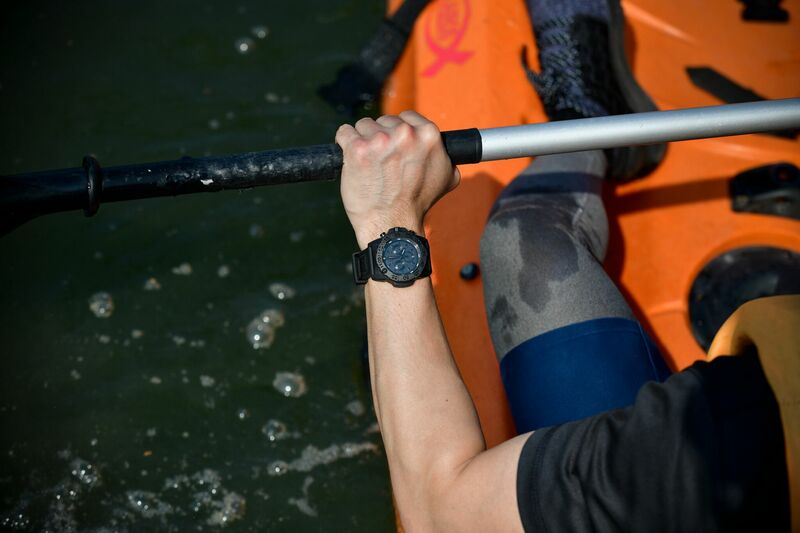 A tough, waterproof timepiece is thus a requirement of a tool watch for the combatant. After which, teams were also expected to move not more than 6 feet apart from each member through the jungle back to the finish line. The all black Luminox Navy Seals chronograph. The Luminox Ice-Sar with a black rubber strap. After the final rendezvous, each team was tasked to build a make-shift shelter similar to those used in jungle survival. They were only allowed to use materials in the surrounding for their structures including using some ropes, wood and leaves. Adding the finishing touch to fasten the teepee. 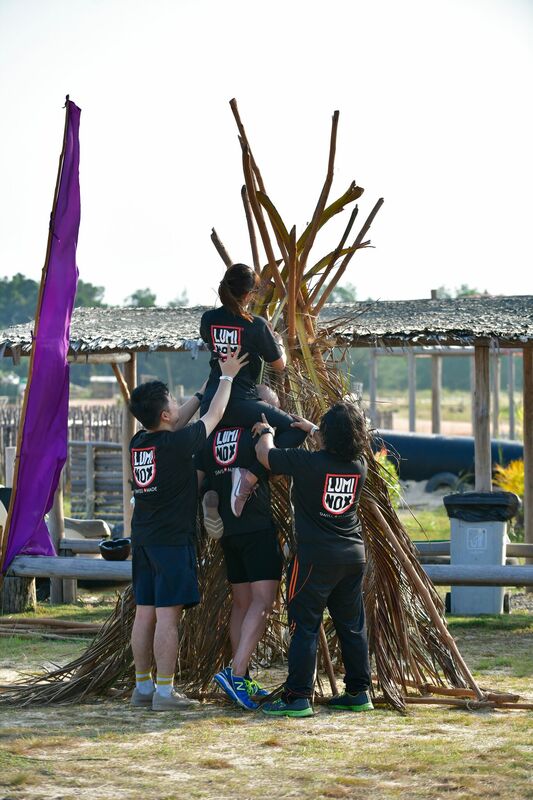 At the end of the day, each team was allocated points where the winning team was given a certificate to commemorate their participation for the Luminox Jungle Survival Course. Participants having a taste of the Navy Seals’ famous log drills during selection. The Luminox Navy Seal 3501 which comes with a carbon compound case. 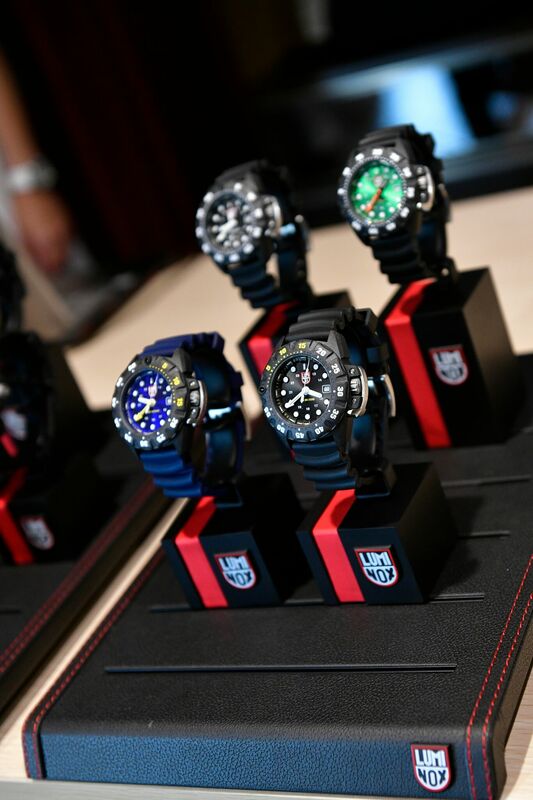 On the second day, August 16, a press conference was held to share with participants more about the 3 new collections launched by Luminox in 2018 – Navy SEAL 3580 Chronograph The Only Easy Day Was Yesterday, ICE-SAR 1000 series and Deep Dive Carbonox 1550. Retired Navy Seal and Luminox Spec Ops Challenge Instructor, Rob Roy. Having Rob Roy as commanding officer for the Luminox Jungle Survival Course was apt because when he was a Navy SEAL, he could relate to the mantra of ‘The Only Easy Day Was Yesterday’. In addition, Rob Roy was also heavily involved in Search and Rescue missions and was proficient in diving. Rob Roy also spent time sharing with participants about what it takes to become a Navy SEAL and how he had used that knowledge to develop leadership and training programmes. 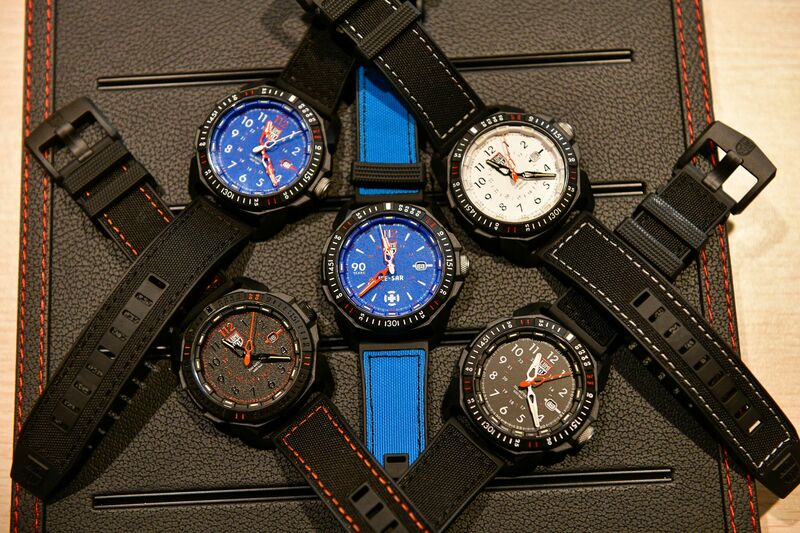 The Deep Dive Carbonox 1550 collection which uses the Carbonox+ case material and has a 300 m water resistance. He was also able to share his involvement with Luminox and how the timepiece has become a part of his Essential Gear. 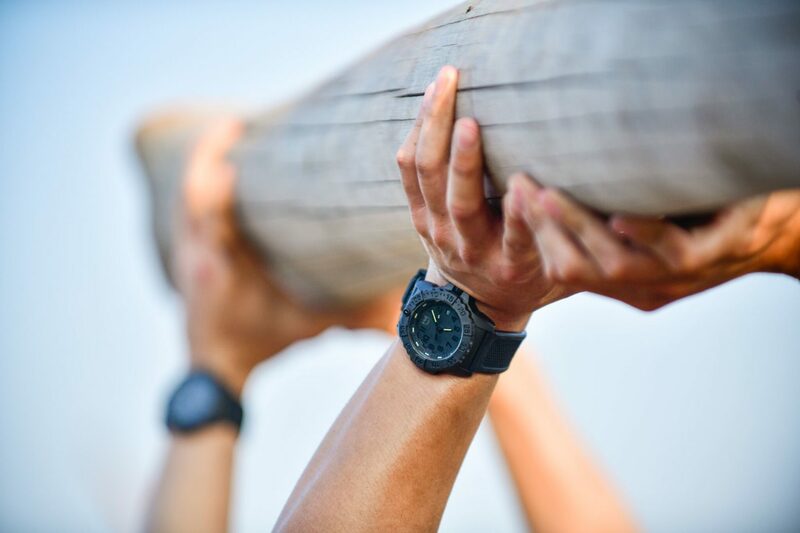 The sharing experience helped participants to understand the mantra of ‘The Only Easy Day was Yesterday’ as well as understand how Luminox timepieces are useful on military mission and are built for the Navy SEALs. The new models for 2018, the Navy Seals, Ice-Sar and Deep Dive. The Ice-Sar collection, particularly attractive for its cut lugs design, frosted dial, and Ice pick shaped hands. Luminox, the original self-powered luminous watch brand, is the watch of choice for U.S. Navy SEALs, F- 117 NighthawkTM stealth jet pilots, other elite forces and professional divers. Luminox watches glow up to 25 years in any light condition, Always Visible. 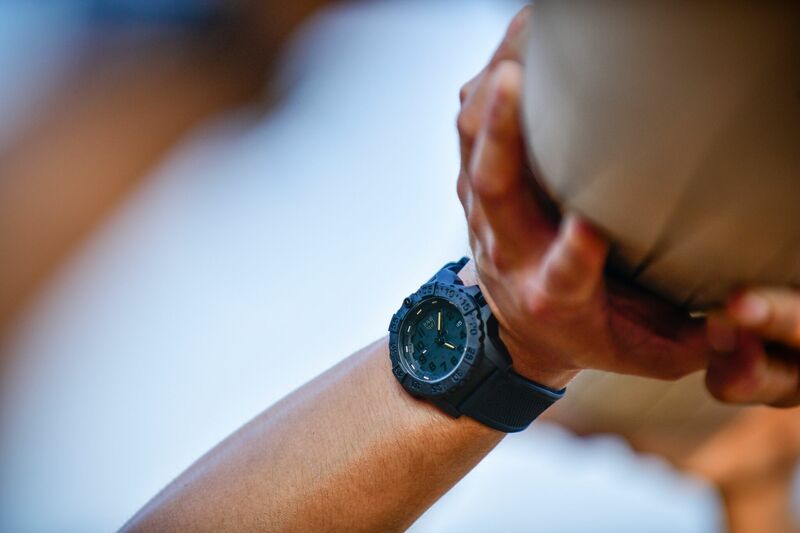 Tough, powerful and accurate, Swiss-made Luminox is the ultimate night vision gear for serious athletes, rugged outdoorsmen and other peak performers. 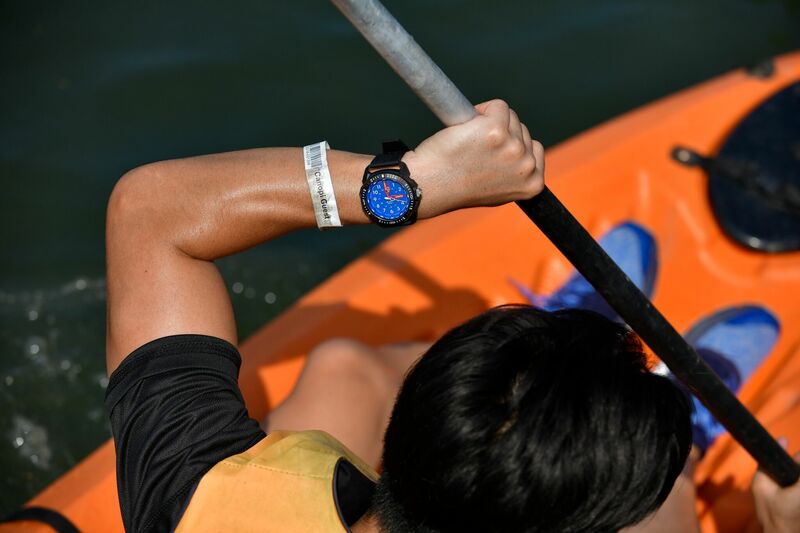 Visit luminox.com and facebook.com/LuminoxSingapore.